Note: Pictured stroller frame not included. The final launch of Bugaboo’s multi-year collaboration with The Andy Warhol Foundation ventures into the playful world of the legendary pop artist’s design legacy. The final collection named “Retrospective” reflects artworks of different periods, well known designs and less obvious ones. WHAT YOU GET: An accessory pack that consists of an extendable sun canopy with matching tote bag. 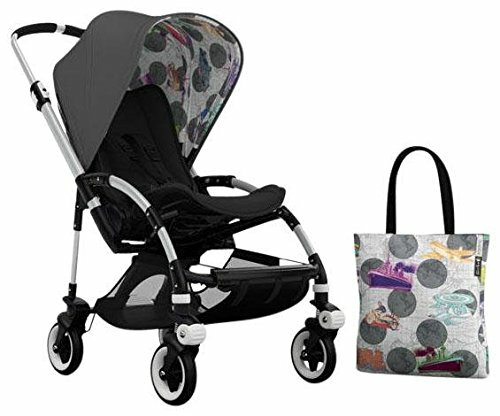 Choose your unique Andy Warhol print to go with your Bugaboo base. Easy to refresh your set for a different season, a newborn or just for a change.